What Are the Best Books on Messianic Jews and Messianic Judaism? If you search Amazon for works on Messianic Judaism, a long list of books will come up. I created this page to help people find the more helpful books. Why are some publications on Messianic Judaism better than others? Simply put, the better publications on Messianic Judaism are grounded in Scripture and careful research. Below is my personal list of the top ten books on Messianic Jews and Messianic Judaism in 2019. David J. Rudolph and Joel Willitts, eds. 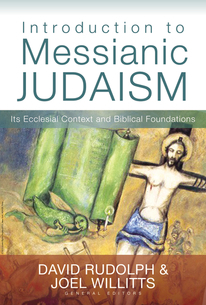 For a more comprehensive list of books on Messianic Jews and Messianic Judaism, see Messianic Studies.